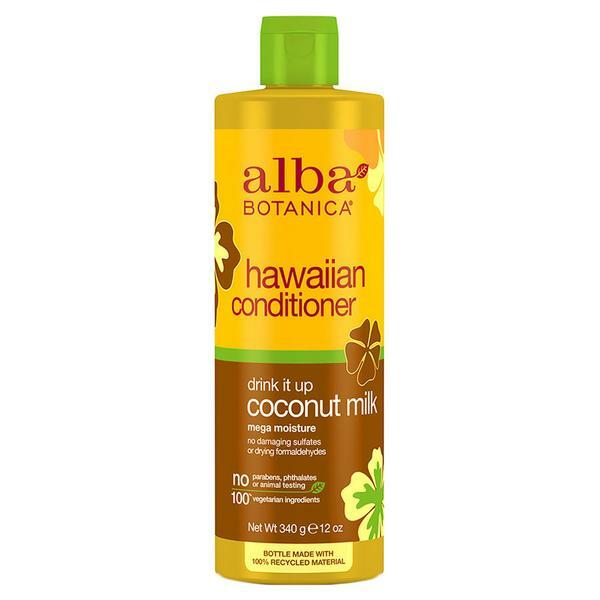 Alba Botanica Hawaiian Hair Care Drink It Up Coconut Milk Conditioners 12 fl oz. To Use: Apply to clean, wet hair. Leave in for 2-3 minutes and rinse. sodium benzoate, potassium sorbate, fragrance. 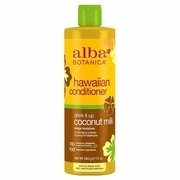 Moisturizing for dry hair. pH Balanced.